If you want to discover more museums like the Montmartre Museum as well as other cute cafes that are off the beaten path when you visit Paris, check out our Paris Museums Guide! Montmartre is synonymous with art. Ever since the 1870’s, artists have flocked to the Montmartre hill, making it the choice location for artists such as Salvador Dali, Claude Monet and Henri de Toulouse-Lautrec to set up their atelier as well as home. Although art still paves the cobbled streets in this northern district, it has also become a highly commercialised tourist honeypot. The overpriced street art and hustle and bustle of Place de Tertre can feel a far cry from the authenticity of Montmartre’s deep artistic roots. Yet, tucked away and hidden from the throngs of unsuspecting tourists, lays a hidden gem, a hub of original art from Montmartre-based artists through the ages. Le Musée de Montmartre, or The Montmartre Museum, located in the oldest building in this northern district, has been tried, tested and received the seal of approval from the INSIDR team. Through its extensive collection of works from artists such as Toulouse-Lautrec, Modigliani and Utrillo, The Montmartre Museum paints a vivid picture of Montmartre’s fascinating history. The Montmartre Museum is surrounded by vineyards and has one of the best views of the northern Parisian skyline that you can enjoy whilst sitting in their beautiful blooming Renoir gardens. The INSDIR team recommends a trip to the Montmartre Museum for the views alone. Located just two minutes away from the Place de Tertre, the Montmartre Museum often has exhibitions and events taking place, such as an opera tour of the gardens and a special mother’s day event, meaning there is never a dull moment. Take a look at their website for more details. 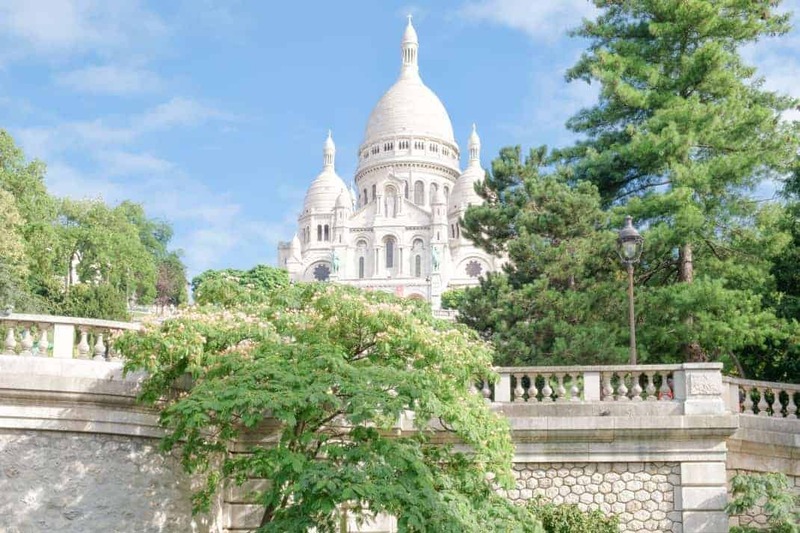 The INSIDR team particularly recommends the evening guided visits of the Montmartre Museum which ends with a glass of wine in the gardens, overlooking the stunning views of Paris which take place the last Thursday of the month during the summer. Who would love The Montmartre Museum? The Montmartre Museum is fun for everyone, old or young, whether you go on a family day visit with the kids and play in the gardens, or as a couple seeking a romantic Valentine’s Day in the evening with a glass of wine in hand. What’s at The Montmartre Museum? A beautiful garden with great views of Paris and the Montmartre vineyard, an art exhibition and artist’s studio. INSIDR loves…The Renoir gardens and the beautiful views of Paris. The evening guided visits to the Montmartre Museum with a glass of wine at the end of the tour. We have a Montmartre Map for you! The INSIDR local map of Montmartre is the one and only map to guide you for your visit of Montmartre! You will find the ultimate best recommendations of attractions, food and hidden-gems on the hill! Explore Montmartre like a local with our map! Check out our other INSIDR neighborhood maps !